Pembroke Pines, Florida is in Broward County and is a lovely suburb of Miami. Formerly an agricultural area with mostly dairy farms, the town grew as retired servicemen moved into the area. The city was officially incorporated in 1960 and in 1980 additional land was annexed, doubling the population. Following Hurricane Andrew additional people moving north to avoid violent weather settled in Pembroke Pines, which currently has an estimated population of 169,000 residents. Pembroke Pines is proud of its lovely landscape and the wide variety of things to offer residents and visitors alike. With many lush parks, families and individuals have an opportunity to spend time outdoors for walks, picnics, or special family events. There are many walking and bike paths throughout Pembroke Pines, and recreation enthusiasts will find many sporting areas. The Chapel Trail Park Nature Preserve offers a boardwalk with areas for sitting as you view the wetlands and natural wildlife. The City of Pembroke Pines is also home to a 9-11 Memorial with sculptures formed from steel salvaged from a structure destroyed at the 9-11 attack and donated to Pembroke Pines by New York City. The sculptures pay tribute to lost heroes, with white marble depicting four states of the event, and an image of a firefighter and child fashioned from the donated steel. The memorial is located at Memorial Park. Adding to the appeal of the city, some seventy-five shops and eateries can be found at the Shops at Pembroke Gardens. The tropical environment lends to the enjoyment of the many outdoor experiences and attractions. 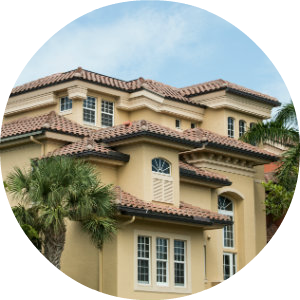 The real estate in the beautiful city of Pembroke Pines is a combination of Tuscan style single-family homes, as well as condos and townhomes overlooking the beach or with lakeside views. With access to primary highways, travel to other areas for additional shopping or employment is easy. The warm, friendly community offers many exciting amenities while retaining a relaxing place to live. The diversity and quality of life make the area perfect for singles, families or senior citizens. The crime rate is low, and the schools are of good quality. With jobs for teens available, as well as for senior citizens, it is a great place to raise a family or to retire. 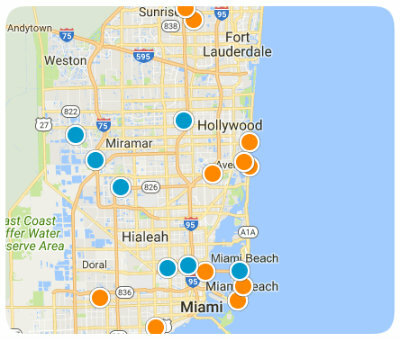 These things clearly show this is a place for homebuyers to consider when searching in South Florida. 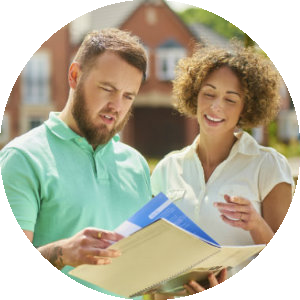 If you would like more information on homes for sale in Pembroke Pines, please contact us today and allow us to assist you. Hollybrook Golf And Tenni Bldg. The Arbor At Park Place Bldg. Cove At French Villas Bldg.